Did you know that home buyers shop with logic but buy on emotion? Science suggests that we can make first impressions in less than one second, so never underestimate the power of a first impression! 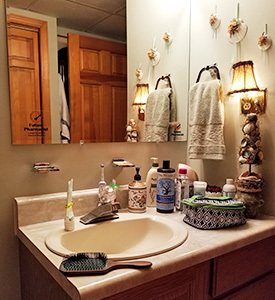 Creating balance, harmony, warmth and charm is paramount in staging an “appealing and date ready” home that will provide optimal return in selling your home quickly, and for top dollar. Staging your home doesn’t have to be a complex or daunting task. Willow Home Staging and Design can help in making this fun and easy. Here’s how in just a few simple steps. Beginning with a 2 hour In-Home Consultation, Willow Home Staging will access your home (including exterior space) highlighting focal points while making recommendations in creating an environment buyers, and their families can envision living in comfortably. Decorating homes to stand out from their competition can be as simple as rearranging furniture and de-cluttering, or as complex as furnishing an empty home from top to bottom. Reports show, over 77% of buyers can “easily visualize a property as their future home” when it’s staged. Possibly that’s why most buyers find it difficult to see beyond uninviting and dis-organized or crowded rooms. Below are objectives we will focus on in creating your home’s full potential for a warm, inviting and “must have” property for a home buyer. Rearranging existing furniture, accessories and art. The concept of interior re-design uses your current items in new and creative ways. This will be a primary focus for turning your home into a spectacular space. 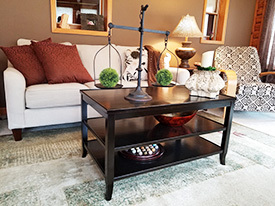 Adding new furniture, accessories and art (via rental or items can be purchased by/for the homeowner. We can assist in shopping for your design elements if needed). De-cluttering. Items can be prepackaged and stored for your new home, donated or disposed of as necessary. Cleaning and organization. A clean and orderly home is “key” in receiving optimal return on your home investment. Making necessary updates and minor repairs. Trade referrals will be available. 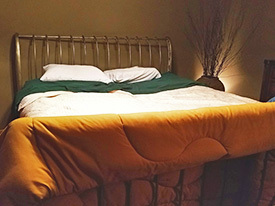 Lighting and color consulting. Both easy ways to accentuate warmth and luster to any room. Upon completion of the consultation, we will develop and prioritize a plan of action. You can then decide how much work you would like us to handle, or how much you would prefer to take care of yourself. It’s just that simple! 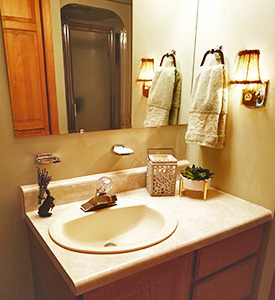 In addition to home staging, other services are available. Perhaps you’re contemplating to downsize or maybe your space no longer suits your family’s needs and could use a face-lift. Do you need help in merely organizing a few of those difficult spaces? Life is busy and we understand how the seasons of life can change, so we’re here to help! Hello. 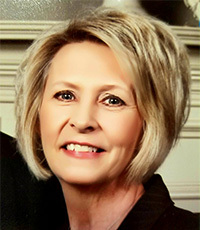 I’m Katrina Belton, President of Willow Home Staging and Design. For as long as I can recall, I’ve had a passion for accessorizing and interior design. I love the excitement around interior decorating and most of all, the joy it brings in helping others fall in love with their spaces. There’s something magical when color, texture, creativity and charm simply coincide and without a doubt, the combination of each feature resonates utter peace and harmony within the soul! I hope you won’t consider settling for a price reduction of your home. Contact Willow Home Staging today for a professional, comprehensive, and “buyer inspired” in-home consultation. After all, you only get one chance to make a first impression so make it the best one possible! This space is quiet small and filled with clutter. Often quiet typical in what we see for cramped and tight spaces. Some organization is definitely needed here. After simply clearing the clutter and organizing the items neatly underneath the counter and drawers below, we were able to enhance and reclaim this small space. A little organization goes a long way! 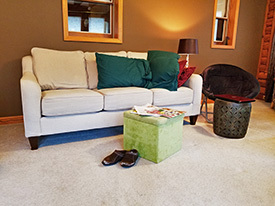 Before this space was transformed, it appeared a bit drab and served as an apparent lounging place for the family. By adding cozy and stylish throw pillows, adequate lighting, a large rug, accessories and a comfortable recliner, this Sun Room is now a relaxing, warm and inviting space for the entire family. This transformation provided a light and airy feel. Boy, does this space need some help? How boring... 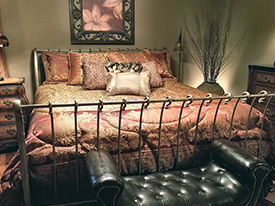 Your bedroom should be a place of desire and retreat. A space you look forward to coming home to after a long and tiring day of work. After brightening up this room, adding lovely bedding, furniture and fixtures we were able to make this space an exquisitely beautiful and quaint retreat. If your North Carolina house needs to be staged in the Piedmont Triad and surrounding areas: Winston-Salem NC, Lexington NC, Kernersville NC, Greensboro NC, Forsyth County, Stokes County, Surry County, Yadkin County, Davie County and Davidson County areas contact Katrina Belton today.